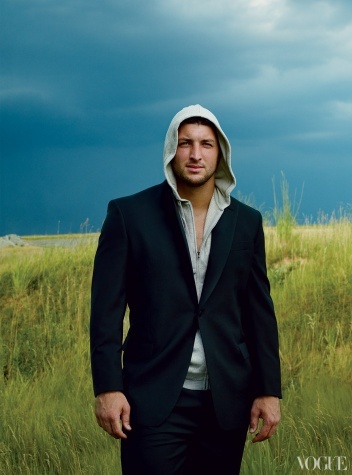 Tim Tebow is in Vogue Magazine. Everybody swoon! No seriously, everybody swoon. I friggin’ love Tebow. Shirts off party for everyone. This entry was posted in Football, NFL and tagged Tim Tebow, Tim Tebow is in Vogue Magazine, Vogue Magazine. Bookmark the permalink.